Nearly 60% of residential water consumption can be attributed to landscape watering. Hopefully you have read my previous posts on “Lawn Sprinkler Efficiency and Chasing Lawn Sprinkler Leaks “. If so, you recognize that a fine tuned system can provide greater efficiency and reduced water usage. However, you may want to go further. Stage III and IV represent some significant decisions regarding the way you treat your landscape. Stage III: Plan to get wet and dirty. This stage will impact the designed water delivery. These changes are a bit lengthy and involved and may take several weekends to complete the items. Make a sketch:If you don’t have a drawing of your system, use sprinkler flags to identify each sprinkler head in the zone. You want to identify all heads associated to a zone, one zone at a time. Each existing nozzle/head should include a brand and a number on the top edge, 10, 12, 15. As well as a pattern identifier 1/4, 1/2 or F. Sketch out your lawn and zone. 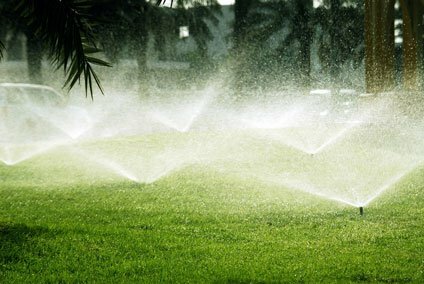 Typically, residential irrigation systems are designed based on 30 PSI of water pressure at the head. 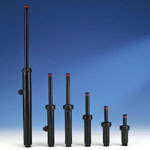 Go to the manufacturers webpage and look up the GPM usage for each head. On your sketch identify each head by pattern, radii and GPM. Total the GPM per zone. TIP: Whatever changes are made in the following steps, do not exceed the calculated GPM by more than 10%. Correcting design issues: After completing item 1 and 2 you may have noticed some sprinkler heads are not exactly in the right place. This may be based on poor placement, changes or growth in the landscape material. If relocation is required ensure that you retain adequate head to head coverage with the neighboring sprinkler heads. TIP: Read the nozzle; if the nozzle is stamped with a 10′ on the top, you should have other heads within 100 to110% of the distance of that number from the head location. So if you decide to move the head, locate the neighboring heads to ensure the relation stays comparable. Replace Sprinkler Body: Similar to #2, but the solution may be to obtain a sprinkler body that allows the nozzle to extend above an obstruction. If you find pop-ups in flower beds but the spray is obstructed by plant material, changing the head to a riser can provide the necessary reach allowing sufficient coverage. TRICK: Risers (ridged plastic pipe with nozzles) can use the same nozzles as pop-ups but require a transition fitting to convert the threaded pipe to a sprinkler head nozzle. These fittings are brand specific as well. Convert from Spray to Stream Nozzles: This is a dramatic change, not to be taken lightly and I would only convert one section at a time to see if you are okay with the results and performance. Even though everything you have done to this point will be beneficial, changing the nozzles will drastically reduce your water usage, but may require longer watering durations. Look for a future write up on Nozzles for a comparison in the water usage. As an alternative to this you may try finding nozzles that are low arc, as lowering the trajectory arc you are spraying less water high up in the air. Since the low arc nozzles typically have shorter radius patterns, this may not work, but is worth keeping in mind as you can use nozzles with different arc’s in the same system. Read my article on changing sprinkler nozzles; the payback is not as much as you might want but its worth a look. Parkway’s: In my neighborhood, I see a tremendous amount of water traveling down the street (everyday) due to this type of runoff. If the area is watered with standard half and quarter circle nozzles, you may consider changing the nozzles to strip spray nozzles. Strip spray nozzles project a rectangular pattern and may help you manage the water usage and overspray. Technically this is still a spray nozzle and it is okay to mix this head with other spray nozzles. As I mentioned earlier, Irrigators will collect sprinkler heads together to complete a zone water budget, so this zone may include heads in the main body of the lawn and this could complicate your efficiency measures. Stage IV: More dirt more wet. This stage is very severe, so only consider these steps if you believe you are still not where you want to be with regard to water usage. Some of these steps are major redesign initiatives and its a lot of work. Hiring someone to do the irrigation work can be expensive as installing new sprinkler systems. You will need to be the judge on Stage IV. I don’t consider these items in order, so weigh your options. Stop Using The In-ground Lawn Sprinkler: Simple to accomplish and it will dramatically reduce your water usage. Granted, you are back to dragging hoses around the house but point-of-use sprinklers will not use near the water an in-ground system uses. 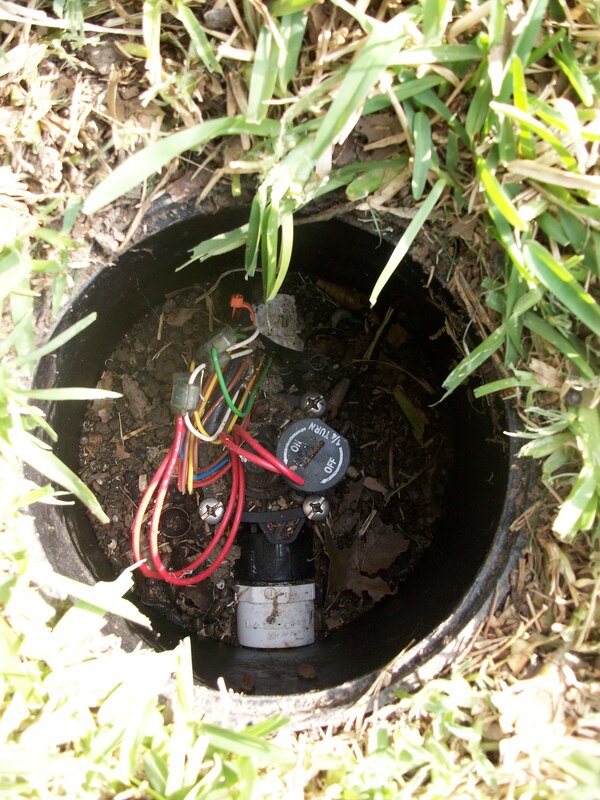 Replace the Lawn Sprinkler Controller: Understanding that better water management can further reduce our water usage, typical Sprinkler Controllers (or Timers) provide water on a timed bases. 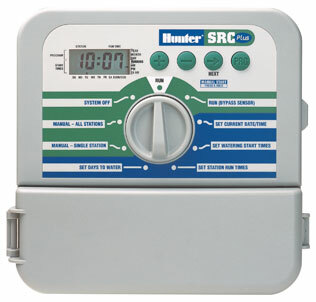 If the timer is equipped with rain, wind or freeze sensors they will provide a higher degree of water management. Hopefully you already have those add-on devices to your existing controller at this point. However, in Stage IV stepping to a digital grade of water management is required to reduce your water consumption further. At this point, I have found limited products available directly to the public as most of the “Smart Controller” are defined to be professionally installed. Many of them require a monthly fee as they are tied to a weather database for regular downloads (I dont like monthly fees). However, I recently found a product called Cyber-Rain. They appear to be headed down the right track, by using your PC and the Internet to upload the most current weather conditions to adjust the water settings accordingly. They use a wireless connection to get to your PC and provide you proprietary software to further manage the water delivery. At $400 it’s a bit steep if you compare it directly to a entry level $60 water timer, however here in Stage IV, we are very serious about water conservation. I have not tested this product but so far I like what I see. Water Only The Flower Beds. In my part of the country watering flower beds serves two purposes, 1) to keep the plant material alive and, 2) it reduces opportunities for foundation problems associated with the expansion and contraction of the soil. Assuming your system design has the flower beds in their own zones, it will be simple to just turn off the other zones at the controller. If you have Bermuda grasses, you can stop watering them and the grass will go dormant, but don’t try this with St. Augustine or Fescue as this grass will die without water. If the flower beds are combined with the turf sprinklers you may consider #5. Rezoning sections: By now you should know where each section is, what it waters and how much water (GPM) per section. Segregate flower beds into their own zones. This may include digging and re-piping some heads from the flower bed zone to another zone. Convert Flower Beds To Drip Irrigation: This is all based on the flowerbeds being zoned separately. Since drip system run at lower pressure, you will need to change the zone valve that can support the lower pressure. Then its a matter of capping the existing sprinkler heads (or turning them off). I have used the (brown tubing) drip-line style, its not quite as efficient as the point-of-use designed to water individual plants as it just has an emitter every 12″ but its a lot less work and maintenance. If you use this style, the home supply stores can provide you the material required to transition from a sprinkler riser to the new drip lines. Convert Parkways And Grass Strips to Drip Irrigation: Assuming you can isolate the parkways into their own zones you can use the same drip line mentioned in #4 by burying it about 3-4 inches below the ground spaced at 12″. I did this at my house and have been very pleased with the results. TIP: If you do this, be very careful if do any digging in the future as this type line is very pliable and can easily be damaged with a shovel. Add Rainwater Collection: This can be a major undertaking, I have wanted to do this myself and have researched it for several years but due to certain limitations on my property its not feasible…yet. By creating a full house rainwater collection system you could technically rework your system to use nothing but rainwater to irrigate your property. But here are some things you would need to consider if you are interested. 1)Storing the water, probably in the neighborhood of 1000 to 3000 gallons. 2) Pumps may be required to transfer the water and drive the water through your sprinkler system. 3) Zone valves may need to be changed to accept the water as it will have a bit of dirt in it, 4) Additional filtration may be required to keep the system from prematurely stopping up the standard sprinkler heads. On the other hand, as a simplier approach, using water barrels at the gutters you can easily use this water for hand watering applications. 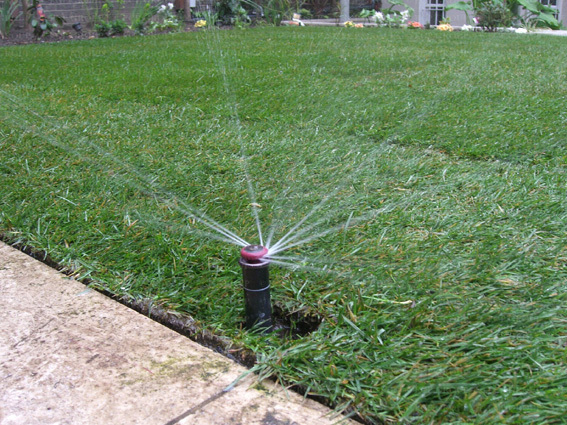 In-ground lawn sprinklers are about 50% efficient. Evaporation, poor maintenance and bad design are the largest impact to that figure. 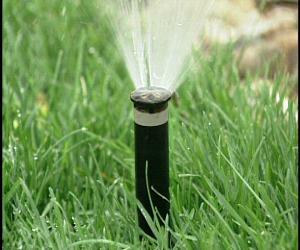 The spring season has many of us looking to use automatic lawn sprinklers to do our watering. Hopefully you have read my post on Chasing Lawn Sprinkler Leaks. This is a good start, but it just barely touches the subject of efficiency. Besides fixing leaks, there are numerous items that can be performed to make your system more efficient without sacrificing performance. Today, the dollar cost of water is still very reasonable, however water conservantion is really about using less and the long-term benefit. Even though this article will address issues specifically related to systems designed with pop-up type heads, many of the suggestions will work with other types as well. General Design Considerations: Understanding how an irrigation system is engineered will help you understand how to make one work more efficiently. If you have a “blueprint” of your system you have a head start, if not, we will perform some hands-on analysis to obtain performance information. Elements of Design: All systems are designed based on water usage and gallons of water (GPM) per minutes used by each head. Typically the small pop-up heads use more water per head per square foot watered. Because they apply more water per square foot than other types, they work well for small and medium-sized residential properties. They can also be easily tuned to fit odd spaces with a host of nozzle choices. Zones or Sections: All sprinkler systems are broken down into zones or sections. The Irrigator calculates the zone size by using available water pressure, pipe size and maximum GPM per zone. Besides these items, zone adjustments may also include special watering needs such as side yards, gardens, flower beds or odd-shaped areas. Since additional zones require more material, labor and money many Irrigators will keep the costs down by limiting the number of zones installed, this is good for him and maybe not so good for you. As you analyze your system and you see one head out all by itself in the middle of another zone, the Irrigator needed a head in that location but did not have enough water budget left in the prevailing zone. This is all very common but can be problematic if you are attempting to manage your water usage at a higher degree than normal homeowners. Sprinkler Heads & Nozzles: There are a half a dozen types of sprinkler heads, but the pop-up style is still the most popular because they can meet varying needs. Pop-ups can be purchased in different levels of spray coverage and are promoted as providing better coverage because they are typically spaced closer together. Typical systems use heads designed with 10′, 12′ and 15′ radius spray patterns as well as strip sprays and bubblers. Larger properties can use Impulse or Rotary style heads to conserve water as they can be placed very far apart. Because they distribute water in more of a stream vs. spray found with a pop-up style, they do not waste quite as much water per square foot. Impulse and Rotary heads work well with wide open lots, but don’t work well when there are obstructions such as building structures, trees, and property lines. Mixing Head Types: No matter the sprinkler head style, it is perfectly normal to find a mix of spray pattern nozzles within each zone, and a mixtures of head types in a system, but NOT a mixture of head type (Pop-up, Rotary, Orbital) in the same zone. Mixing head type can make it difficult to properly manage coverage and watering levels. Optimal Design: The best designed systems account for the water required based on the environment. In other words, shrubs and flowers should be watered at a different rate than turf. Shaded turf may be watered less than turf placed in full sun. Grass type is also influential. Unfortunately, not all sprinkler systems are designed with these considerations as it can be more costly to engineer a system with greater efficiency. TIP: If you don’t currently have a sprinkler system, and are looking to purchase one, beware of the very low bids as some Irrigation Contractors will take short cuts on the items mentioned in an effort to win the business. Stage I: Gain the most efficiency out of your existing system without impacting the design. All of Stage I is covered in detail in the “Sprinkler Leak” post. But here are the high points. Check for leaks in the pressure side of the system. 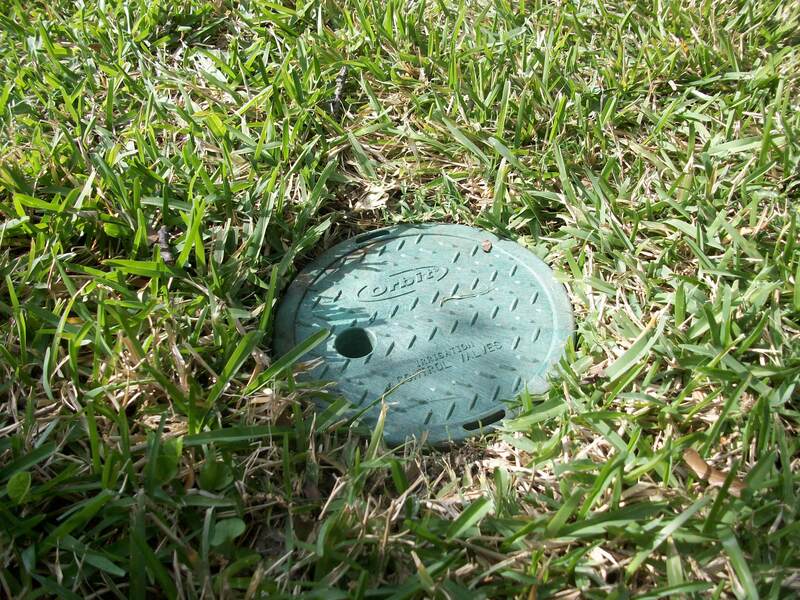 Use your water meter to isolate the leaks in the sprinkler zones. Check for leaks in each zone. Most leaks are at the heads; repair and replace the heads and risers as necessary. Make sure you use the same style head and similar nozzle sizes as the one you are replacing. TIP: All the major manufacturers make pop-up heads, its okay to mix brands but if you stick with the same brand, you can always move and change nozzles between existing heads when needed because nozzles are not universal between manufacturers. Ensure all sprinkler heads are clean and providing the proper water pattern. Adjust the watering duration and times to match the season. If your watering durations continue to allow excessive water run off, try changing the watering times to a series of short cycles. For instance, change a single 15 minute cycle to 3 back-to-back 4 or 5 minute cycles. This can allow the water to saturate before the second and third cycle occurs. Typically, I don’t like the short cycle watering strategy, but if you perform it back-to-back, its okay. Consider using your system in manual mode only. Watering when only necessary will reduce your water usage substantially. Stage II: Plan to get wet. This stage requires a bit more effort and the gains achieved may be small, but the intent is to make gradual changes that will increase efficiency without negatively effecting performance. This stage is intended to optimize the system by fine tuning the existing sprinkler heads. Look for excessive water accumulation. Not all landscapes require the same amount of water. Unfortunately, when irrigation systems are designed, this fact may not be included in the design. Read the system performance by looking for items such as excessive water, green moss or over saturated ground and plants. Fine tune individual sprinkler nozzles. Each sprinkler nozzle has a fine tuning screw on the top of the nozzle allowing you to change the water output. However, when you reduce the flow, you reduce the pattern spray coverage. In some cases, you may completely turn the water off at the nozzle. This is sort of a trial and error exercise, so you may need to make the adjustment and keep an eye on the area for proper coverage. Newer style nozzles may include a water saver disk found under the nozzle to equalize pressure and reduce water usage. Adding or removing this disk will also change the amount of water delivered. Parkway Watering: I mention this because this strip of grass found with many older homes is a large source of water waste with automatic lawn sprinklers. Run the zone that waters this area to determine how much waste is occurring. Adjust it as much as you can. If you still have excessive water run off you may consider adjusting the fine tune screw to the off position and either hand water it or let it go brown and just let the rain keep it green By completing Stage I & II, you should be reducing you water waste. 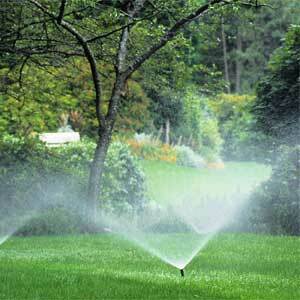 You may be able to reduce your watering duration by the fact that you are wasting less water. Before you move to the next step, let the system run for several weeks/months. Monitor the performance and make further adjustments as necessary to the nozzles and watering duration. After completing Stage I and II let the system run for a couple of months. Monitor the performance and the water usage, make adjustments as necessary. However, if you want to go further, I still have Stage III and IV recommendations. Look for my post next week on “Lawn Sprinkler Efficiency Upgrades Part II“. Stay up to date on the latest HomeownerBOB articles by signing up for the email subscription. Finding the lawn sprinkler valves can be challenging without the correct tool. Most irrigators have a tool called a cable hound or cable locator. Think of this exercise as an Easter Egg Hunt and the valve is the candy. 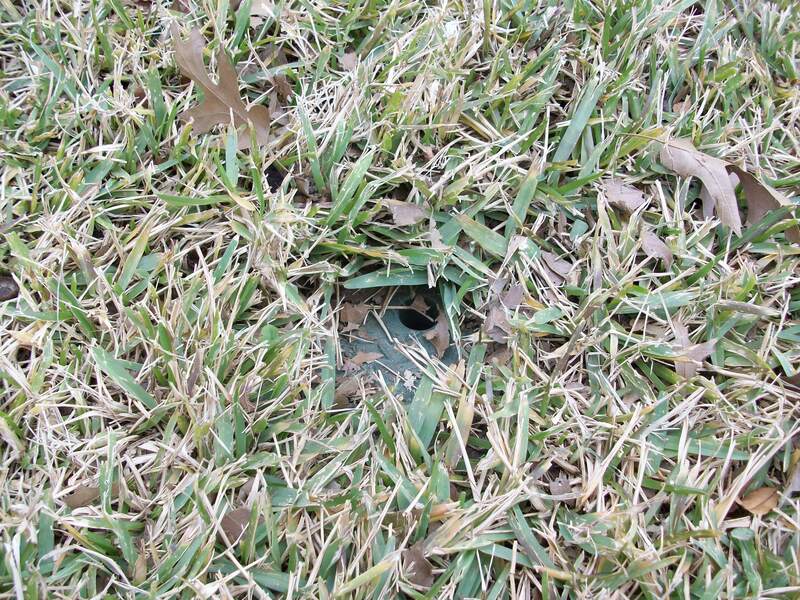 Within all Lawn Sprinkler systems they are broken into zones. Each zone has its own electrically controlled valve. TIP: The valves are powered by 24V AC with a very low current flow and is not normally considered hazardous. This valve is activated by the sprinkler timer or controller. Depending on the installer and the application, some installers place them in a cluster where others place them throughout the yard, or a combination of both. 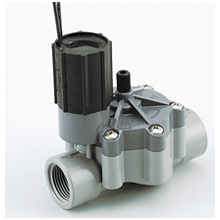 In most cases, (not always) the installer will place the valves in an access can or valve boxes. Unfortunately over time, these cans (or boxes) can easily disappear under the turf. So if you know where they are, its good to keep the grass cut back from them or have them marked is some way. Besides providing an isolation point, sprinkler valves can get dirty or become inoperable. For the most part, the valve can be serviced with replacement parts assuming you know the exact brand and model of the valve. Read this link on sprinkler valve repair. If the valve is still leaking after a thorough cleaning and inspection, acquire a repair kit and replace all the parts. Rarely would you need to actually remove the valve body from the system unless it became frozen during the winter and the body was cracked. If it was cracked, you should have noticed the valve leaking before you started the dis-assembly process. TIP: Avoiding the cracked valve body is one of the reasons it is recommend to turn off and drain the sprinkler system in the off season. Finding the valves can be challenging without the correct tool. Most irrigators have a tool called a cable hound or cable locator. These test sets are about $400-500, so purchasing one is probably out of the question. It may be possible to find a rental, but most people that require them usually own them. Cable locator: Professionals use a cable locator to find the valves by tracing the path of the electrical wires that feed each valve. If you have one of these tools or have access to one, this is the simplest and quickest method. The tone typically get loud when you reach the valve. As an alternative to a Cable Hound, I have tried a low cost test set from Harbor Freight but cannot recommend it as it did not work as I had hoped. It was not really intended for this type of use, but it was worth a shot for the price. As an alternative, you can hire an irrigator to make the repair and ask him to locate all the other valves as well. They may not even charge you to find the other valves since they are charging you for the visit and repair. Design drawing. Hopefully you were left with a drawing from the installer or the previous owner of the property. If you have any record of who installed the system, they may still have one on file. Find the valves identified on the drawing and use a long screw driver or probe and a shovel to poke around in the dirt. When you hit a valve box it will have a hollow sound to it. They will probably not be in the exact location but hopefully within about 5 feet from where the drawing indicates it. Origin of Water: The system should have a back flow preventer in a large rectangle box, usually near the water meter. The sprinkler valve(s) will be located somewhere between the back flow preventer first sprinkler head. Look near the first head of each zone. Valve Chatter: Assuming you can still turn the system on and off, you can have a friend turn the system on/off multiple time. The valve will make a slapping or hammering noise that may be loud enough to pin point the valve location. If you have gone through this without sucess, you may have to call the Irrigator anyway, hopefully using some or all of these methods, you were able to find the valves. You are currently browsing the Homeownerbob's Blog blog archives for April, 2009.